More Skeletons! | They Might Be Gazebos! Thanks to the thrifty gamers on G+ and FB who found these little (or big) buggers at their local Dollar General. 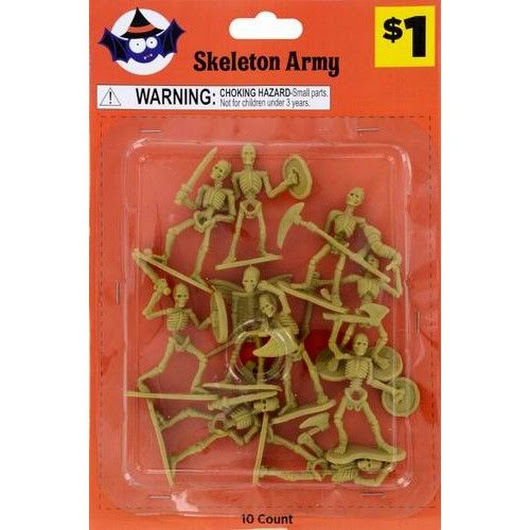 The low down is that it’s 10 skeletons for $1. And yes they are already putting out Halloween decorations. Of course they are a little big compared to your standard mini. You could always use them as Giant Skeletons or whatever the craft necromancer came up with. However, if you’ve been along at home with this blog you should remember the TimMee Galaxy Laser Force mini’s and the True Legends Mythic Bucket. A quick note on the Mythic Bucket. Yes, you can find it on Amazon but according to my Google Fu, this is a Toys R Us exclusive. Which means the one’s you’re finding on Amazon are from resellers who massively marked up the price. And of course there’s some knights I picked up at Goodwill. There’s many variations of those available on Amazon. 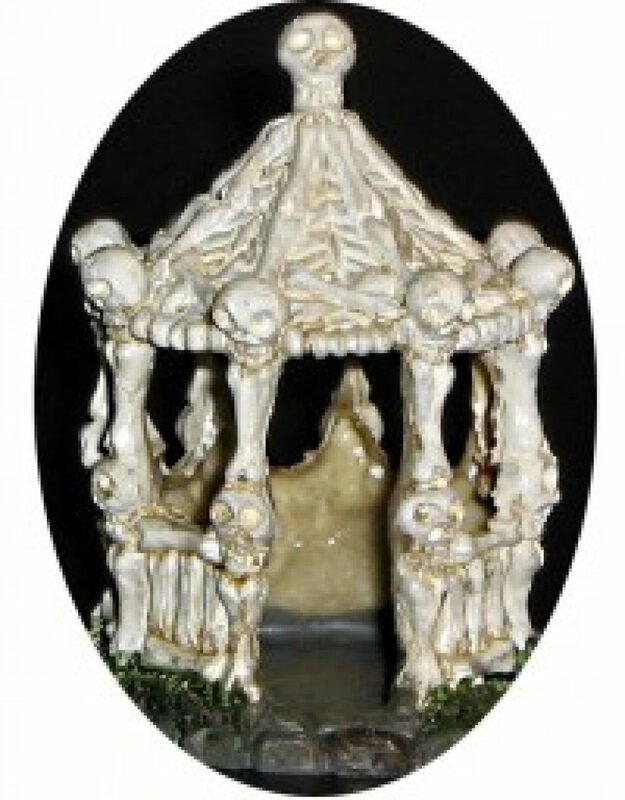 For these mini’s, the Skeleton Army is almost the exact same scale. So check out your local Dollar General and all those discount stores too. Halloween is cornucopia of cool things for games. And there’s a good chance any excess school supplies could be on clearance. Because who doesn’t need more graph paper. Look for them on the shelves. Pingback: Zombies! – They Might Be Gazebos!